The Daavlin 1 Series comes highly recommended for office usage where space is at a premium. 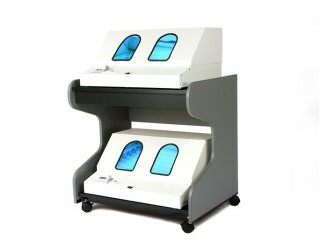 It can be moved to and from consultation rooms quickly, or placed in a permanent phototherapy room. 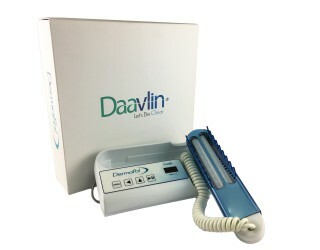 Cost-effective and versatile, the Daavlin 1 Series phototherapy unit enables physicians to effectively and efficiently treat psoriasis, vitiligo and eczema in their current set-up. 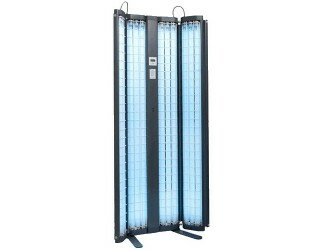 The Daavlin 1 Series is available with a wide variety of lamps with differing wavelengths; UVA, UVA1, Narrow Band UVB, and Blue Light lamps. 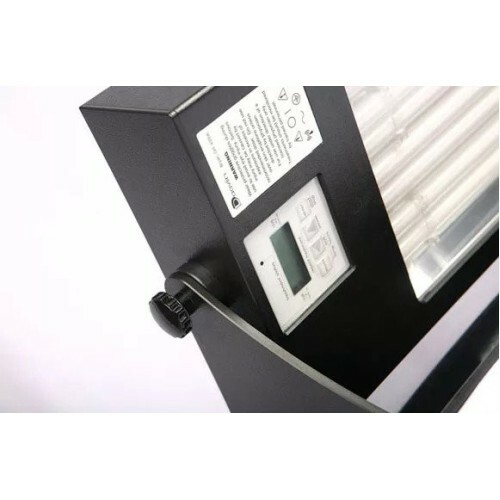 Because these lamps are electrically connected at just one end, they are very easy to change. 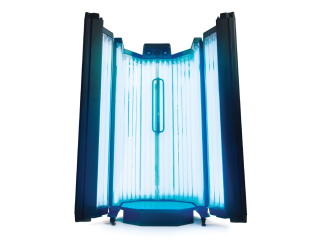 Because of the unique “180°” lamp design, the amount of UV available within the treatment area of the device is doubled, which translates into shorter treatment times. 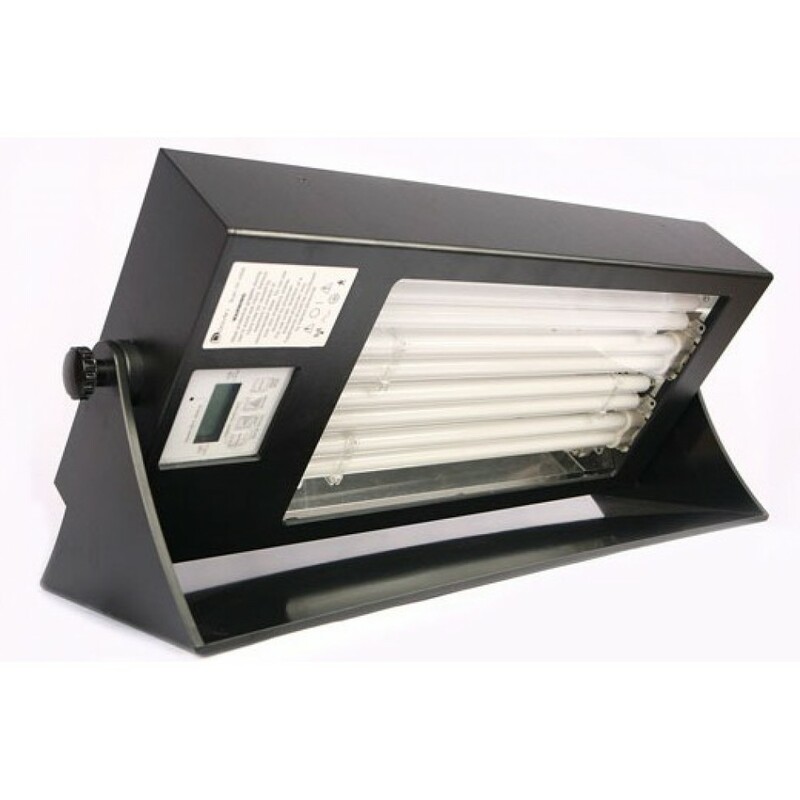 In addition, these lamps emit more output per unit of energy consumed than conventional lamps, making treatment times even shorter. 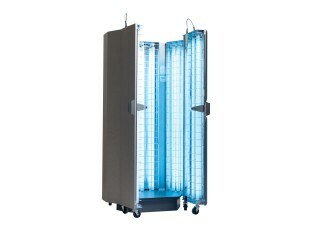 In addition, fluorescent lamps typically have “dead” spots on both ends that emit almost no useful UV. 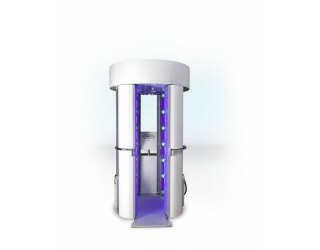 Because of the “180°” design of the 1 Series lamps, the uniformity of the radiation at the ends of the device is superior to that of devices equipped with conventional lamps. 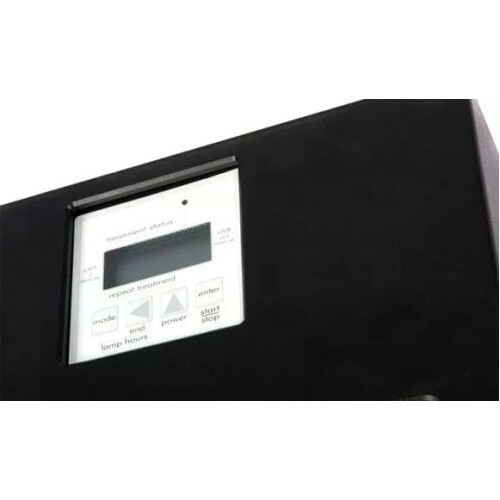 The Daavlin 1 Series can lie flat making treatment of the hands comfortable and easy. 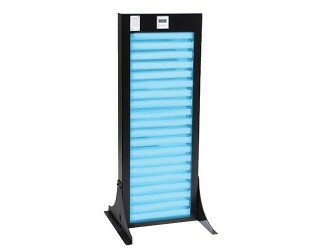 A special UV transmitting acrylic shield covers and protects the lamps and provides a clear and unobstructed surface to rest the hands on during treatments. 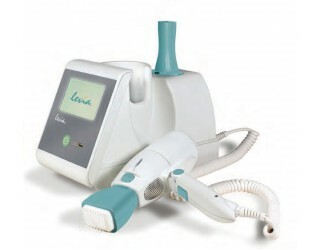 The 1 Series can also be positioned vertically on its end or side for conveniently treating the face or other localized areas of the body. Being extremely light weight and portable, the 1 Series is easy to move about the home or office and perfect for travel. 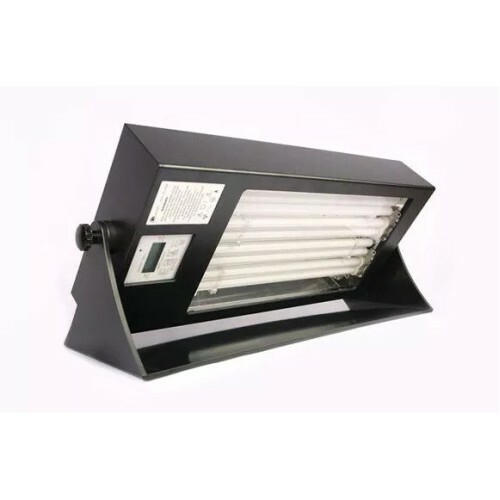 The environmentally friendly “Programmed Start” ballasts extend the lamp life, increase the energy output, and give the 1 Series an extremely low operating cost. 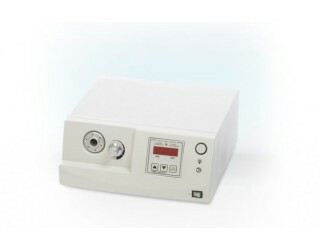 Optional integrating dosimetry is available on all models, making it easy to deliver precise treatments.